February 28, 2011  Protests in Iraq continued Sunday, for a third day since the country's "day of rage" saw demonstrations in cities across the country. Prime Minister Nouri al Maliki has given his cabinet 100 days to shape up or risk being fired. February 25, 2011  In Iraq, large demonstrations have led to violence and clashes with riot police, as protesters use what they call a "Day of Rage" to demand an end to food shortages and electricity outages that they say have only gotten worse in recent years. February 24, 2011  The first Persian Gulf War ended 20 years ago this month. 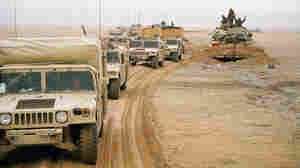 Although it was a quick and seemingly decisive victory, it has had a lasting influence on U.S. engagement with the Middle East. 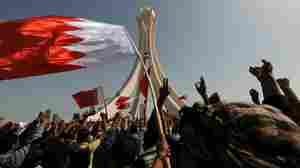 February 16, 2011  At least two people are dead as riot police in the Bahraini capital, Manama, used tear and clubs early Thursday to try to regain control of a main square occupied by anti-government protesters. 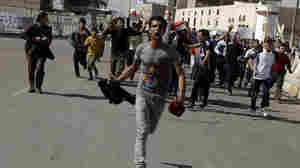 Meanwhile, unrest continued to spread across the Middle East and Northern Africa. February 14, 2011  Matthew Alexander, a pseudonym for the author, was a military interrogator in Iraq who rejected previously used harsh techniques. 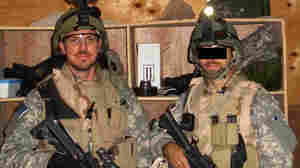 He writes about how his team hunted down two key al-Qaida operatives in Kill or Capture. February 11, 2011  In Iraq, it's getting to the point where protests are happening every day. It's a few hundred people here and there, airing local grievances. Most Iraqis doubt this will turn into an Egypt-style uprising. February 10, 2011  Southern Sudan voted overwhelmingly to split with the North after decades of conflict. One of new country's first tasks is to write a constitution. Bereket Selassie, framer of the Eritrean Constitution, and Jason Gluck of the United States Institute of Peace explain the challenges of drafting a founding document in the 21st century. February 2, 2011  A human rights group says Prime Minister Nouri al-Maliki is running his own personal combat brigade, which is overseeing a secret detention facility where men accused of terrorism and other crimes are tortured and kept incommunicado, with no access to lawyers or relatives. 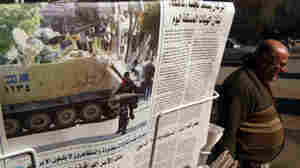 February 2, 2011  As with many things in Iraq, the reaction to the uprising in Egypt depends on whom you ask. Some are glad to see others looting in the midst of chaos. Others say it's bittersweet to watch the Egyptian people rise up, in light of a failed uprising against Saddam Hussein 20 years ago.